← Congress takes a stand on a nuclear Iran? Not really, but…..
Time To Go On The Offense Against Liberalism — How to win and what to do. 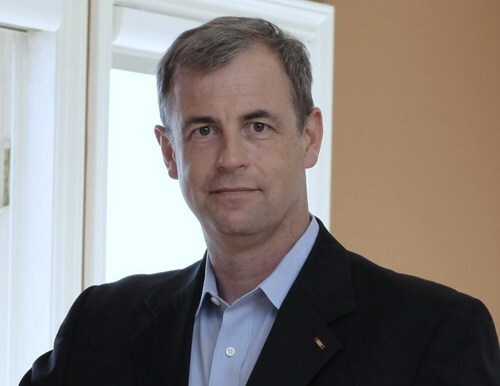 It was like a breath of fresh air discovering the writings and words of Colonel Kurt Schlichter. He gives us a clear outline of what to do to get our country back. His discussions help me feel optimistic that America can recover from our having been “occupied” by the radical left, with its failed policies, brutal bullying and Alinsky lies. His solution: “Lawfare” — having Constitutional Conservatives stop compromising and negotiating. No more RINOs. No more “Go Along to Get Along.” A plan to stop tyranny. Schlichter explains how and why we should mount a relentless attack, an insurgency, to get our country back just as our founding Fathers did. No quarter. I agree with him. I also must confess that I also feel a bit stupid. I’m still reading his book Conservative Insurgency, but here is my “Well, Duh!! !” moment — this quote, and the discussion that surrounded it in his book, is awesome. I write Award Winning Thriller novels. My books and I have been under attack for years by leftist trolls. The debris of past battles still lingers on the discussion threads under my John D Trudel Amazon author’s page. These trolls are despicable thugs: Argumentative liars and bullies, easy to dislike. That’s who they are, that’s what they do. The Internet trolls are just a notch up from those in “occupy” who throw bricks through shop windows, instigate riots, and defecate on police cars. They run in small packs. I learned how to fight trolls, but wondered why the left was investing so much effort on persistent attacks to intimidate and silence a little-known Indy novelist. Now I know why, thanks to Kurt. We can lose political power and still possibly get America back (thank you, God), but NOT if we lose our culture. Yikes! There is a higher good. My novels and those like them matter. More than I knew. Maybe even more than my long career in High Technology. In engineering school, I learned the world was made from bits, atoms, and vibrations. It is indeed, but our culture and institutions are made from words. Lose these and the rest doesn’t matter. Charles Krauthammer is right. Churchill was more important to the world than was Einstein. The Obama throne sits on layers of lies, and he holds the nuclear codes. I craft tales to entertain that are based, in part, on my own career, experiences, and the exceptional people I’ve met. I lived the American Dream, my novels reflect that, and the left hates it. It hates the Dream, Freedom, and the Constitution that protects our rights. The “crime” that attracted attacks by poo-flinging leftist monkeys is that my novels contain history and honor American culture. The left hates that. It hates very bit of it. Worse yet, my thrillers predict real threats, and my characters thwart them. It hates that too. In my novels the good guys win against the odds, and the bad guys get what they deserve. Just like the good old days. No hugs. Maybe a bullet in the head, but generally an uplifting ending for my readers. Thrillers are extreme, but I am far from alone. Kurt is correct. The left hates the works of any American writer, artist, entertainer or educator whose messages serve to preserve our culture and, hence, to undermine their propaganda and oppose their agenda. To them culture and words is the greatest blockage to their taking and holding power. The left hates the First Amendment more than it does the Second, which is saying a lot. I kill the bad guys in my novels, but the leftist loons hate Christian themes, strong marriages and happy families as much as they do books about killing terrorists. Combine the two and they go nuts. No wonder American Sniper was so hated by Hollywood. I will put a review up on Amazon for Kurt’s book — also a novel, interestingly! — when I finish reading it and set a link here. I already love the way he wrote it. It’s a future history. He starts with a resurgent, healing America 30 years in the future, and has his characters interviewed to give their stories of how it got that way after almost being destroyed. “I commanded a cavalry squadron, so my default tactic is to attack. And the increasingly desperate, fascistic flailing of the left as it seeks to hold onto power is a signal that it’s absolutely time to sound the trumpet. In war, you want to get your forces behind the enemy’s front line and into the soft underbelly of its rear echelon. Distract the bad guys’ strongest forces, then send your heavy armor around back to rip out their guts. The basic principle is to apply your strength to the bad guys’ weakness. You want the bad guys’ strength wasted, preoccupied trying to find something to fight while you rout the elements that support them. You know what an enemy tank is without fuel, spare parts and shells? A big hunk of metal holding future casualties. It’s time to press the attack against the liberals’ weakness, to figuratively hit them where they aren’t expecting it, to (as Instapundit Glenn Reynolds likes to say) punch back twice as hard and render their strongest forces as impotent as the boyfriend of a hirsute radical feminist. As Sun Tzu teaches, “if you know your enemies and know yourself, you will not be imperiled in a hundred battles.” We need to understand our enemy, so as to beat him. And the first step to doing that is to realize that the progressives are our enemies. Perhaps I would be a bit more charitable if over the last week I had not been barraged with obscenities, death wishes, and threats for daring to opine that being on EBT is something you should be ashamed of. But when progressives invite you to die because you’d prefer not to subsidize lay-about Democrat-voting losers, it clarifies things. Leftists want you dead, or at least enslaved, and you can tell that because they can’t keep themselves from telling you that. After you understand that leftists are not our “friends across the aisle,” you can assess their strengths. They hold the executive power in the federal government. They own the mainstream news media and hold the reigns of popular culture. Despite their sorry history of racism, from defending slavery to Jim Crow to electing a Senate majority leader who was a KKK kleagle, they have a grip on minority voters. And, of course, they occupy academia. So, we know where the enemy is. Finding the enemy is the first step to defeating the enemy. Now let’s look at some of its weaknesses and how to exploit them. In the long term, the left is not guaranteed to maintain federal executive power. Conservatives’ best strategy is to nominate someone who might actually get elected and then might actually govern as a conservative – Jeb Bush, I am so not looking at you. Once we do, we can let the liberals solve this problem for us with their bizarre determination to nominate that glass-jawed, email-deleting cuckoldette. Yeah, non-coastal America is dying to elect someone who reminds everybody of their first wife, including women and the never-married. In the short term, we need to make this sucker ungovernable. Obama wants to put the “petty” into “petty dictator” with his rule by decree and contempt for the law. Let’s jam it back on him. Maybe the GOP squish-dominated Congress can’t be roused from its coma to fight for its branch’s prerogatives, but no one resents being told what to do more than a federal judge. People say that to a hammer, everything looks like a nail. Well, I’m a lawyer and everything looks like a lawsuit, or at least an administrative complaint. I discuss this kind of “lawfare” in my book Conservative Insurgency: From fascist public school administrators to uppity DMV clerks, you’re an American citizen with the God-given right to make their lives a living hell by initiating and pursuing your right to challenge their abuses. That’s their soft spot. Complain, appeal, sue – occupy the Occupiers with dealing with your grievances instead of leaving them free to keep screwing up our country. The mainstream media, also known the Democrats’ Steno Pool, looks invincible, but it’s vulnerable too. It needs eyeballs to live, so look elsewhere for your news and information. Every time you watch NBC News, you validate and empower liars who hate you and everything you stand for. So don’t. There’s a growing segment of conservative traditional and alternative media, and even a few mainstream journalists who still try to be objective, like Jake Tapper at CNN. Patronize them. Starve the lib-loving media until it either dies or reforms. The MSM needs you a helluva a lot more than you need it. The same goes for popular culture. Is your favorite TV cop show disrespecting you? Did last week’s CSI: Rancho Cucamonga episode make the guy responsible for the massacre at the Olive Garden be the Tea Partier who went on a shooting spree because the restaurant served breadsticks to black people? You don’t need that crap. Watch something else. Empower conservative culture by patronizing quality conservative-created entertainment – as thriller writer Brad Thor says, doing so is an act of conscience. It also hits the enemy where it hurts – the wallet. Liberals take minorities for granted, which I suppose is better than what Democrats did to them at Selma. But this monolithic minority support isn’t quite as monolithic as the liberals imagine, and we need to strike hard and crack the façade. All minorities are not the same. Asians, who were trending left, can be won back by conservative initiatives like color-blind policies that fight the shameful liberal bias against high-achieving Asian college applicants. No matter what Señor Jeb says, all Hispanics are not the same, and many oppose the amnesty the Chamber of Commerce Crew is dying to support. No group has been more shamefully ill-served by liberals than black Americans. The liberal amnesty push is a huge betrayal of black Americans – let’s sell our opposition that way. Why not follow the lead of Rick Perry and many law-and-order conservatives and address the problems with the criminal justice system that have caused so much resentment by black Americans? Prosecutors who are out of control, the rare police officers who disgrace the badge, and an overreliance on the criminal justice system to address social problems – these are issues conservatives should be spearheading. That they would help demonstrate the truth, that conservatism is an ideology for all people regardless of heritage, is a fringe benefit. And then there is academia, that thought-policed playground for spoiled sophomore radicals and faculty brownshirts that keeps the ranks of leftism full with legions of new zombie recruits. Well, academia as we know it is dying anyway; let’s use our massive conservative power at the state government level to Kervorkian it along to its final reward. We conservatives need to enact laws making it easy (and profitable) to sue schools and administrators over free speech and due process violations. Let’s kill tenure and limit administrative bloat with mandatory “one flunky per two teachers” employee ratios. We need new statutes that mandate that state colleges move toward online classes that educate the motivated rather than stick with obsolete cattle-car lecture hall snorefests that babysit the drunken. And we need to deprive the colleges of fresh meat by pushing options like apprenticeships and technical schooling for young people who want to do something with their hands besides try and block out the droning of the TA in their mandatory “Transgender Issues in Norwegian Mythology” seminar. The idea is to strike not directly at our enemy’s strength, but at its vulnerabilities using our strength. We have numbers, and therefore money. We have power outside of the federal executive. We have an abiding love and respect for the Constitution, and it is no small thing to know that you are fighting on the side of what is right. This entry was posted in Actionable, Constitution & Gov, Enterprise, Military, Non-Fiction, Novels and tagged Educational, Ethics, Exceptionalism, Guest Author, Heroes, Tyranny. Bookmark the permalink. 2 Responses to Time To Go On The Offense Against Liberalism — How to win and what to do. This is a fantastic idea, too bad no one ever thought of it before, oh wait, they have. The reality is there are far too many conservative RINOs. I became libertarian because of it. People attribute the growth within the LP to be due to Ron Paul and partially that is true. The bigger reason though is how fed up the masses are with both the left and the right. Sorry, but the GOP failed and so did the democrats. At least libertarians aren’t claiming to have all the answers, but honestly saying no one does, so people should be free to figure it out for themselves. Does it mean individuals cannot help one another or support a common cause? Of course not, it just means govt has not been the answer for any of it. Need proof? Look at every government system in the history of humanity. Has it resolved all social and economic ill? No. This book gives hope for action — and one of the parts I liked the best was near the end, when the author said (approximate words), “You are Americans. Each of you knows what to do, and each in your own way can do something to impact this. So, no problem with “being free to figure it out for ourselves.” The problem is we are so deep in the hole now that all of us need to band together and to FORCE Congress to act effectively. I agree that both of the major parties have failed America. As have the libertarians. The old Democratic party is gone, replaced by socialists, Saul Alinsky communists, and other radical left groups. It was almost biblical when the DNC thrice voted to reject God at its convention. The feckless RINOs are their own worst enemies. And, as much as I love John Stossel, Rand Paul, and libertarian ideas, you have zero chance of opposing tyranny UNLESS you make our elected government part of the solution. The advantage the radical left has always had is the ruthless desire to gain power — they are like killer bees. They all sting together, and they all chorus the same lies together in unison as “talking points.” The advantage free people have is that we are more honest and better as solving problems. Americans historically squabble, but when we can come together against a common enemy we can change the world. From George III to Hitler to Stalin, we’ve proved that and made the world a better place in so doing. Can we do it again against the odds? The book argues we can. I hope he is right, but we are wounded, weak, divided, and we will soon face brutal terrorists with WMDs as my own novels (and those by better known authors) warn. To get America back will take effective and aggressive political action. We will have to have “We the People” to force Congress to take the gloves off and to use every lever of government to take control back from the radical left. Some of that will be ugly. My suggestion: Read the book. It is a fun, interesting read. Then think about it from your own unique perspective. The best outcome would be if YOU could figure out what role you and other libertarians could play in getting America back from the radical left. The unifying banner Kurt’s book suggests is “Constitutional Conservatives.” There is plenty of room in that tent for libertarians, but to prevail you will have to come together and be able to work with TEA Parties, some Republicans, Independents, and, yes, God help us all, even some Democrats on some issues. Good luck to you and to us all. Right now we seem to be repeating the 1930s. That is not a happy or hopeful scenario for America or the world.